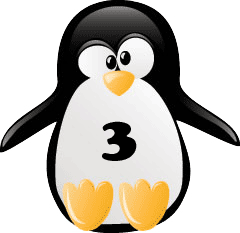 Late Friday Google's Matt Cutts announced a Penguin update, a basic data refresh, that only should impact about 0.3% of English queries and 0.4%. of non-English queries. In fact, it was announced and fully pushed out the same day - so if you were impacted, you should have seen a major change in your analytics from Friday to Saturday. Well, most sites see major dips from Friday to Saturday, so compare last few Saturdays to this Saturday and see if you see any decline in traffic. If you were previously hit, you should see a major increase in traffic from Google's organic results - if you were released from the Penguin update. Honestly, after waiting four and a half months since the second Penguin refresh, I was expecting more. Why? Well, Matt Cutts of Google said we should expect something jarring and jolting but I guess that never happened. Talking about the percent of queries affected, someone questions Matt what that means and he responded on Twitter saying "Swapping a #10 result for a different #10 result might not be noticeable. Swapping out in (say) top 5 ->more noticeable." So that means, Google looks at the top 5 results to see how much that changed. Were there recoveries? Yes, I spotted at least one person claiming a recovery at Cre8asite Forums. Panda Algorithm Update on September 27th through October 6th? The Panda algorithm update really throws everything off and makes things pretty confusing. There is a lot of chatter and discussion around the Penguin update but I am not sure if webmasters can pinpoint it to Penguin or Panda here. In any event, I hope you did better after all these updates. Forum discussion at WebmasterWorld, Cre8asite Forums and Google Webmaster Help.